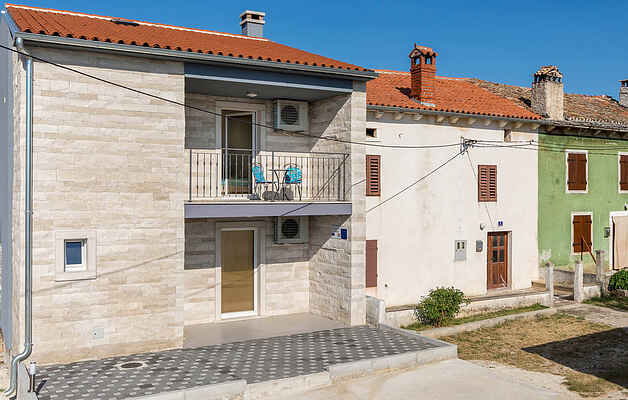 Elegant terraced house with pool and well-kept garden awaits you in rural surroundings of the picturesque village of Bratulići. In addition to the wonderfully selected furnishings, the large outdoor pool provides additional comfort on hot summer days. In the neighboring villages, there are offered varied leisure activities such as the horse riding school in Manjadvorci, the adrenaline park in Glavani as well as a 4x4 quad club in Barban. The nearest bathing beaches can be found in Krnica and Duga Uvala. Recommend are romantic walks through the old towns of Rovnj and Motovun as well as the visit of the famous amphitheater of Pula. The neighboring house is still under unfinished construction. Enjoy the peace and comfort of rural life here.